Our patented systems combine several workholding techniques into a universal workholding package. Standard or custom, mechanical or hydraulic fixtures are ideal for all kinds of parts – round, rectangular, irregularly shaped…we can fixture onto the product OD, ID or a combination to suit your machining requirements. 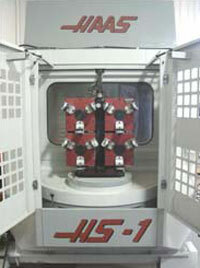 VMC’s, HMC’s, VTL’s, manual machines. Check out the industry’s first low-profile chucks, in sizes from 8.0” to 66.0” in diameter, hydraulic tombstones, hydraulic vises and towers, manually chucking tombstones, 4th axis vertical fixtures, tailstocks, hydraulic pumps, and more! Customization is our specialty. PROHOLD® is committed to complete customer satisfaction by meeting customer requirements for engineered solutions, quality, performance and customer service through continual improvement in all areas of the organization. PROHOLD®excels in the design and building of fixtures for critical parts used in the automotive, aerospace, industrial equipment, agriculture, medical, mining equipment, foundries, and construction industries. 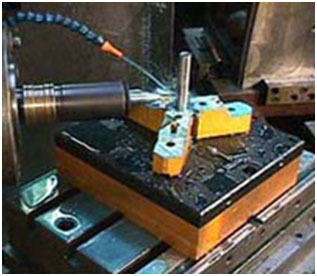 No matter what your workholding needs are, PROHOLD® can make it happen. Our engineers can help to design your custom solution and manufacture it into a reality for your business. Call today and speak to a technical specialist about your custom project! !